Nestled just west of Austin’s city limits is Bee Cave, Texas. The area derived its name from the colonies of Mexican honeybees that lived near the banks of Barton Creek and Little Barton Creek that encompassed a large area of Western Travis County. Today, Bee Cave is known for its laid-back atmosphere and a visit makes for a relaxing day-trip away from the hustle of downtown Austin. So, whether you’re in the mood for some retail therapy or just a quiet getaway, Bee Cave has a lot to offer. Courtesy of One World Theatre. As you drive west towards Bee Cave, you’ll notice the stunning views of the surrounding Hill Country. Plenty of parks and golf courses are laid out to make the most of the landscape, so be sure to stop by Hill Country Golf & Guitar for a show and a round or two of mini-golf, or Falconhead Golf Club to swing away at one of the best courses in the area. At the heart of Bee Cave is the Hill Country Galleria, where you’ll find some of the best shopping that the Hill Country has to offer. Set outside, the hot-spot is 152 acres of shopping, dining and entertainment venues. Spend an hour, or an entire day, at the Galleria to unwind and practice a little retail therapy. If you want to enjoy the more artistic side of the town, take a stroll around Bee Cave Sculpture Park. The park expands over 7 acres of gorgeous Hill Country terrain showcasing both permanent and seasonal sculptures. A children&apos;s playarium, a pond, expansive oak trees and numerous wildlife run-ins makes this sculpture garden a must-try when visiting Bee Cave. 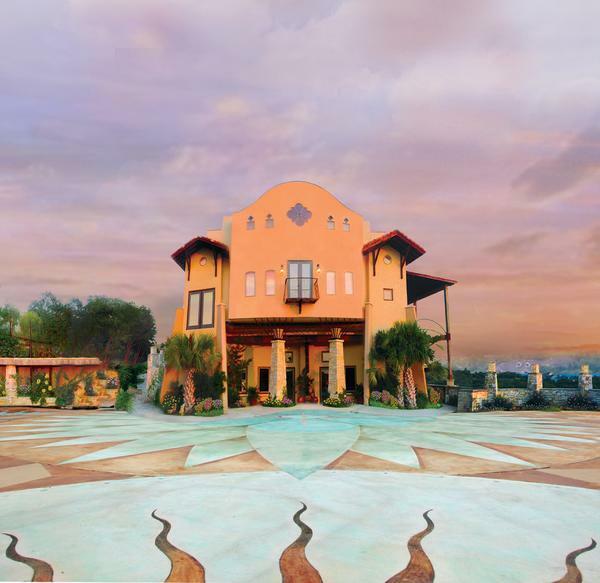 If want to experience the Hill Country, but don’t want to miss out on Austin&apos;s live music scene, stop by the One World Theatre for dinner and a show. Wanting more of a concert feel? The Backyard Live Oak Amphitheater is best known for its intimate, natural setting and has hosted names such as Bob Dylan, David Bowie and Willie Nelson. Catch an outdoor concert here to get your music fix. Spend an afternoon exploring all that Bee Cave has to offer or make roots for the night at the picturesque Sonesta Bee Cave hotel. This chic resort effortlessly blends modern Austin luxury with the natural landscape of the surrounding Hill Country. Relax at the pool or dress to the nines for drinks and tapas at Meridian 98, the hotel&apos;s rooftop lounge and eatery. Although Bee Cave is a small town, it never fails to serve up big experiences. Make sure to make time in your trip schedule for a visit to Hill Country and share your trip pics with us using #TrueAustin on Twitter and Instagram!